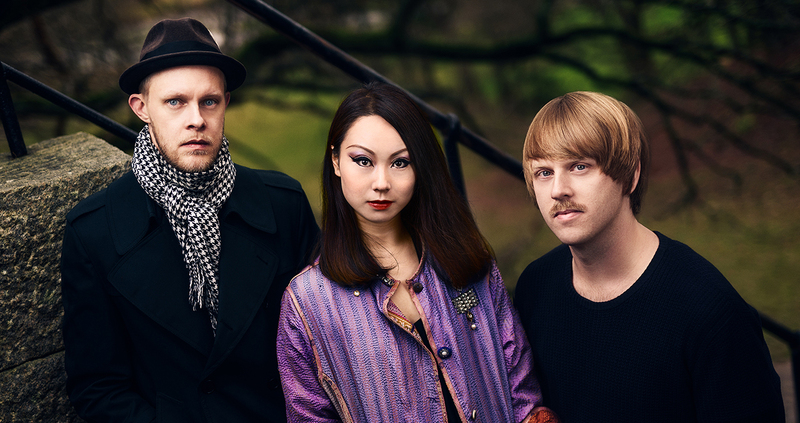 The band consists of Naoko Sakata (piano), Alfred Lorinius (bass) and Johan Birgenius (drums). Naoko Sakata Trio moves between the composed and the improvised, with intuitive interplay, quick turns and a lot of surprises. In 2008, Japanese born pianist Naoko Sakata moved to Sweden to study at the Academy of Music and Drama at Gothenburg University. Naoko received the «Best soloist prize» in the Young Nordic Jazz Comets 2009 and the Swedish Radio award «Jazz Cat – Newcomer of the year» in 2011. The trio has performed in Scandinavia, Europe, North Africa and Japan. This lineup was constant until the fall of 2013, when Alfred Lorinius joined them, expanding the already vast palette of the trio with a rhythmic flavour that embraces the listener.